Arnab : George and Farhad, being motor-heads, you always look at cars with much more than just going from point A to point B. 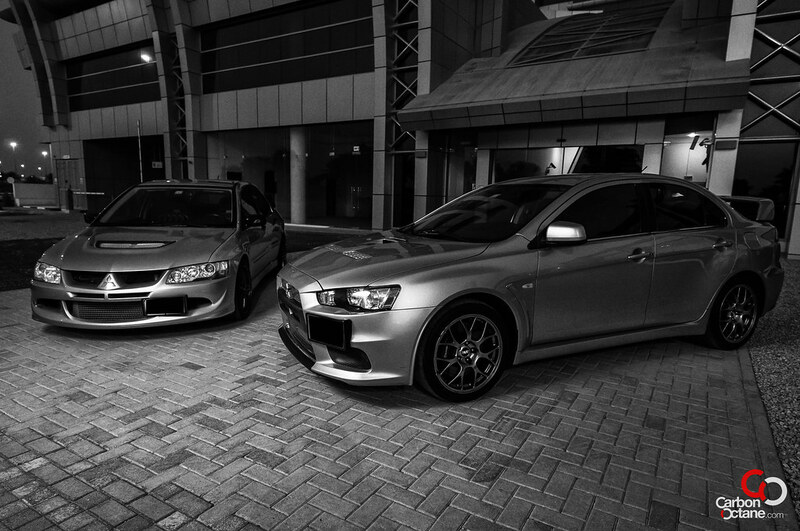 You two are also childhood friends, how did you end up owning the Mitsubishi Evolution at the same time? George : I was always interested in tuned cars. EVO’s have been my passion for sometime now. They are one of those cars which give a few of the other super cars a run for their money. Farhad : My first tryst with high powered vehicles was in the early 2000′s when I used to ride the Honda CBR 600. It was a fantastic machine and the start of my fascination and my need for high performance machines. Fast forward a few years and slowing reflexes and vastly different (worse) driving conditions in the UAE meant road riding was far too risky. My attention turned naturally to 4 wheels. I chose the Evolution for a number of reasons. Firstly, I’ve always been fascinated by the idea of such high performance from a small engine. Secondly, having a family with 2 young sons, I definitely wanted to share my passion with them, so the 4 door configuration of the EVO is a big help there too. 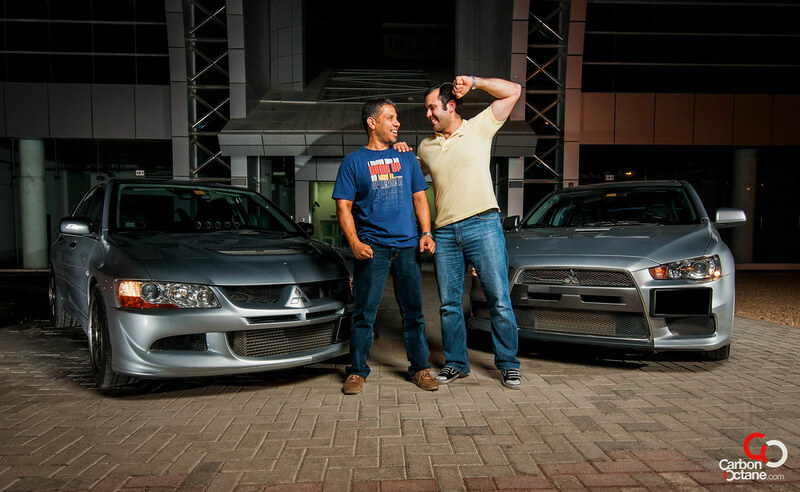 Finally, discounting muscle cars, of which I am not a fan, there are few other cars that can give you the same bang for your performance buck that the EVO can, and when the comparatively ( to older versions) much more refined EVO X was launched, I knew it was a matter of time before I got one. 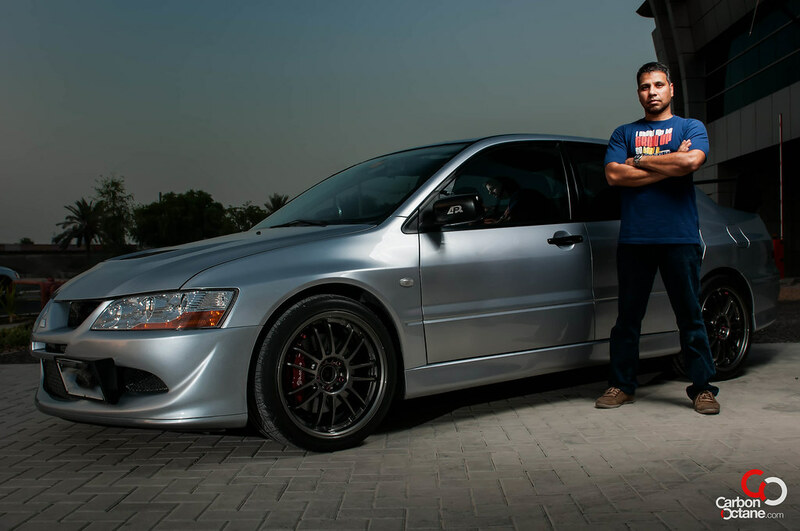 Arnab : George, as a 600cc and a 1000cc UAE Sportbike champion and much like Hossein, who was featured on our previous Reader Beater’s episode, how has your experience been so far in owning the EVO? I know that you have taken it out to the track quite a few times, with myself included, but is setting up the car for the track equally as difficult and a trial and error process much like that of a sport bike? 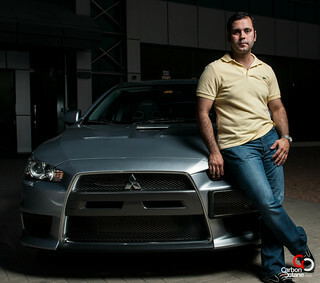 Farhad, you bought the car as stock, what was your expectation in the beginning? Did you want to leave it as stock or did you want to give some extra juice to it? 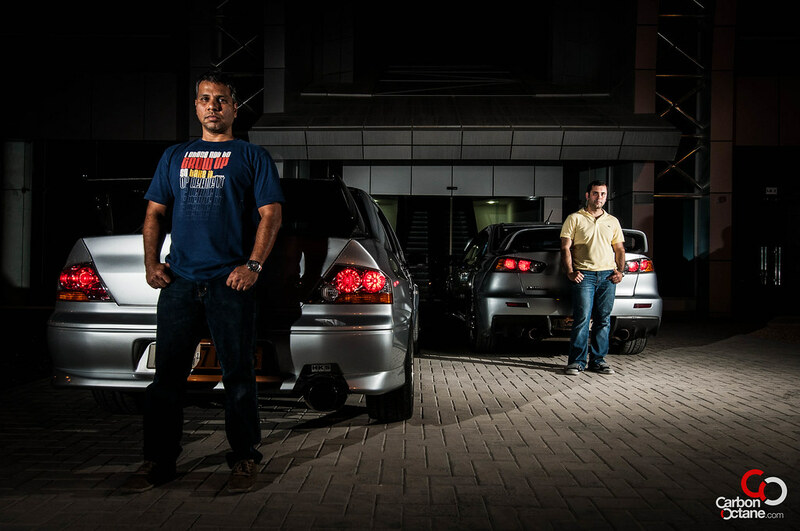 Farhad : I would say that I generally like to keep my vehicles reliable and easy to care for, which means that heavy modding is not quite my scene. Whilst I do have another car that would tide me over periods of down time on the EVO, I personally believe that after a certain level, unless you’re a competitive driver, additional power is more of an ego boost than an effectively usable tool. I would much rather spend my time and money honing my driving skills which I do with regular track sessions at the Autodrome and Yas Marina Circuit. Arnab : What would you tell the readers who may be looking for such cars? Are there any curve balls that hey might face or has it been a smooth sailing so far? George : First, do your homework on the forums. These cars require a lot of maintenance and are heavy on the pocket. But, the thrill you get out of it is well worth it. Arnab : What have you modified on the car and how has the car reacted to those modifications? In empirical terms, the basic mods above have given me an extra 50′ish whp, and of all the modifications the custom tune has probably contributed the most increase in hp. Arnab : The EVOs are not meant for everyone. Who do you think would benefit the most from owning such cars? Farhad : My car is driven with (almost) equal pleasure by my wife and myself, and with the EVO X at least, I do believe that the car is a genuine all rounder for everyone from the weekend warrior father of 2 to the time attack challenge professional driver. The difference between the two would be the mount of work done (or not) to the stock car, and that is the beauty of this car, it is such a versatile package. Throw in the SST transmission and it is a genuine pleasure in traffic. The Recaro seats are as comfortable even on long drives as those in my other “family car”. I would definitely rate the X as one of the most versatile sports cars available today.